Coastal defence campaigners yesterday demonstrated outside a meeting about the safety of dredging. Hanson Aggregates Marine held the public consultation at Yarmouth Racecourse to dispel concerns over its bid to renew its dredging licence for an area in the North Sea 22km east of the town. Norfolk communities affected by coastal erosion are convinced the process has been accelerated by years of dredging removing millions of tons of sediment. Among the audience were Malcolm Kerby, chairman of the Happisburgh-based Coastal Concern Action Group, and around a dozen residents from Scratby near Yarmouth. 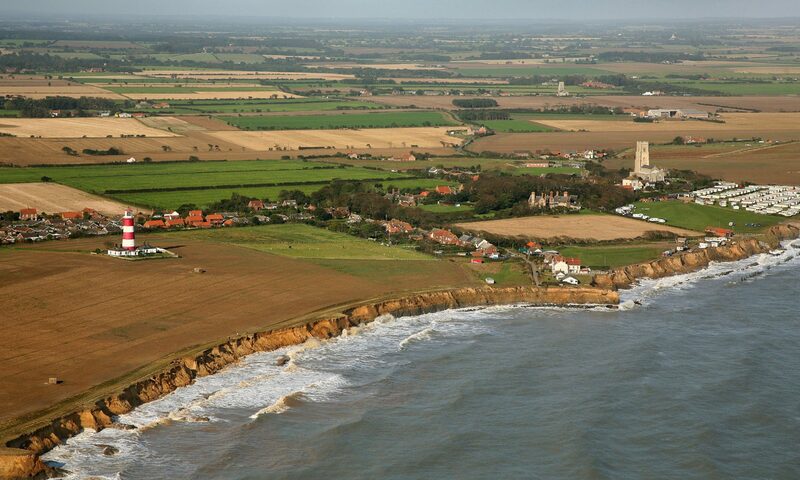 The clifftop village is predicted to lose more than 50 properties in the next half century under the Government’s proposed shoreline management plan (SMP) strategy of not bolstering sea defences. Andrew Bellamy, a spokesman for the dredging industry, claimed there was no scientific evidence to link controlled dredging to erosion. He said the dredging took place too far out to sea to affect the processes of longshore and inshore drift. What were being extracted were fossil deposits, not part of the coastal sediment. And he insisted the trenches created by dredging were not being filled in with sand and gravel from adjacent banks – a claim made by campaigners to explain the disappearance of coastal sediment. David Harding, a spokesman for Hanson, said the issue had been clouded by misinformation – dredging was not to blame for erosion. However, the campaigners left the meeting unconvinced and urged people to write to their MP about dredging. Mr Kerby said the uncertainties of dredging were recognised in an official EU report and far more widely recognised on the Continent. And he said a document leaked to him from Westminster admitted there needed to be a greater understanding of the links between coastal erosion and dredging.